Demo for NFL Statistical Analysis is finally up online. 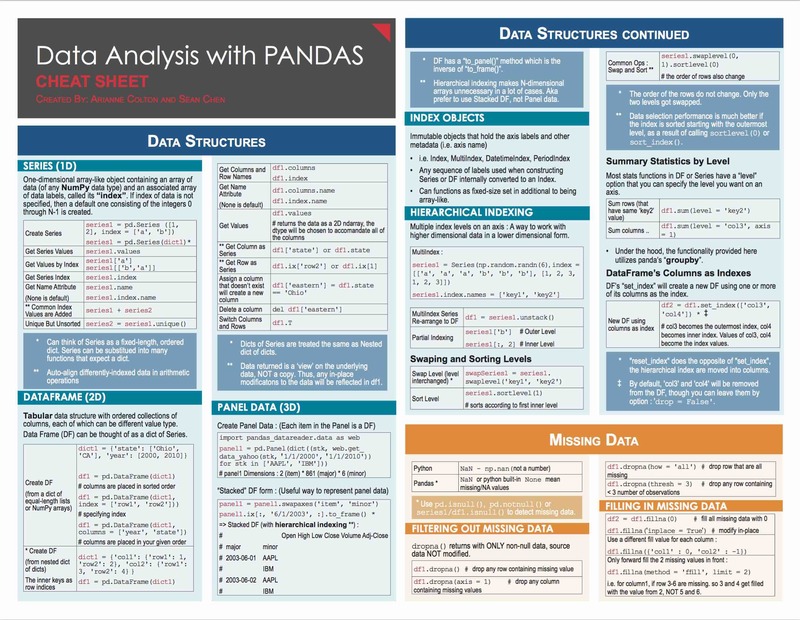 My friends have asked for additional cheat sheets, such as Pandas. It's especially useful if you work in quant finance, dealing with time series data. Hope these new cheat sheets are useful for you. Let me know if you have any suggestions! 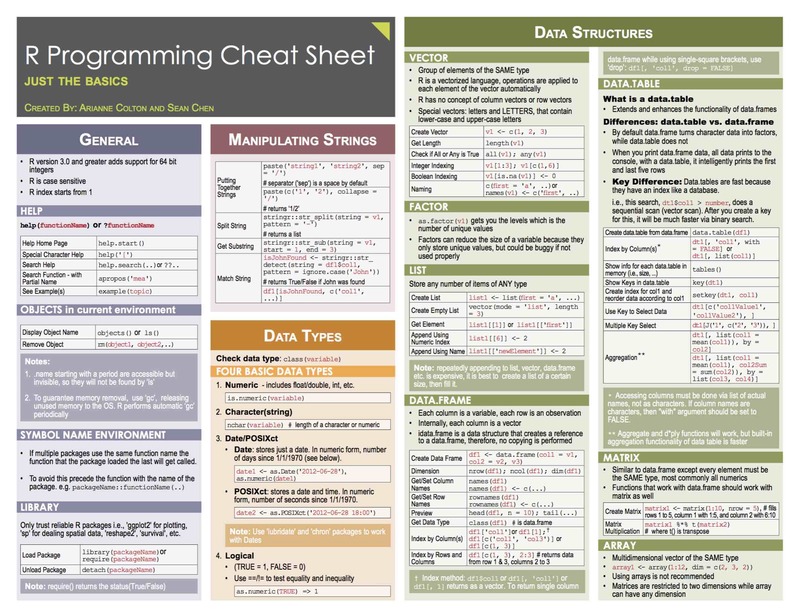 In winter of 2015, I was looking for simple, fast, professional looking R and Python cheat sheets since my work involved switching back and forth between multiple languages (R, Python, Java) as well as other non-programming/data science duties. However, many online cheatsheets that I found were either too lengthy or too slow to scan or too boring/uncolorful. Therefore, we have created R and Python cheat sheets. We hope these cheatsheets are not only useful for ourselves, but for other R and Python users as well.